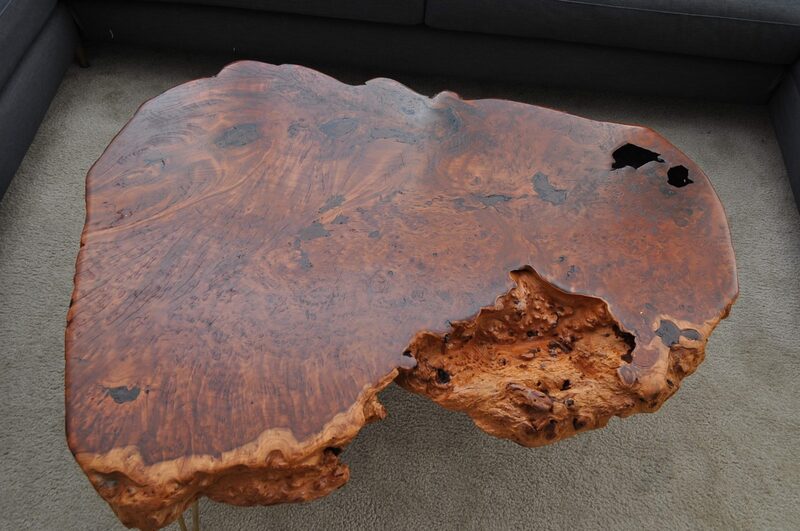 I was recently asked to create a redwood burl coffee table for Nick & Alexis, our son & daughter in law. 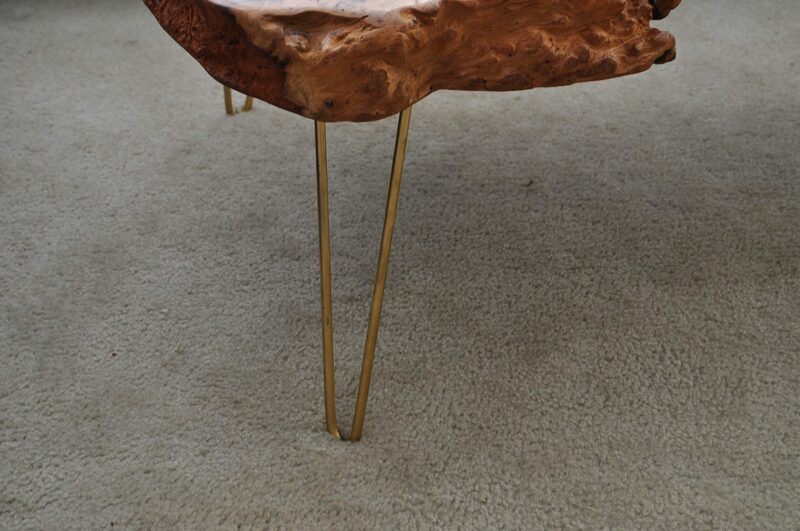 But instead of my normal driftwood base Alexis wanted to put hairpin legs under the top. I wasn’t familiar with those type of legs but I’m always looking for new ideas & Alexis was willing to paint them a gold tone. 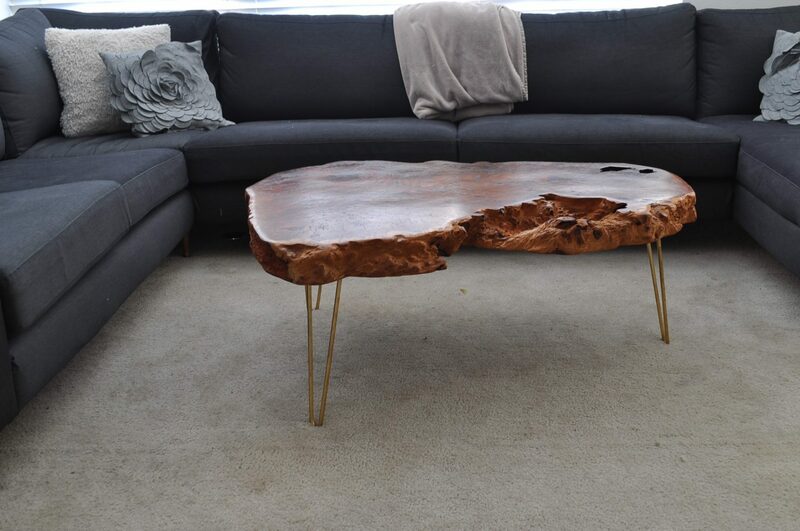 The hairpin legs present a very small profile & give the redwood top a sense that it is “floating”. 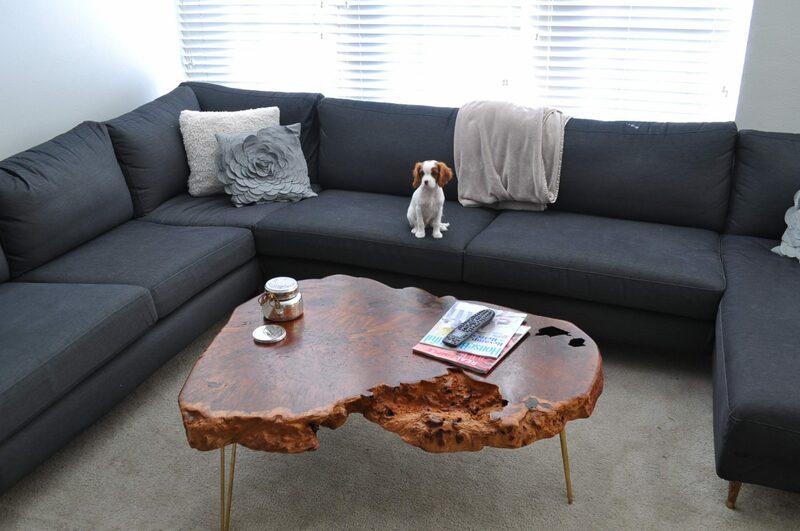 Live edge coffee tables are very popular at the time & those with these types of legs are a different way of displaying them. Draper, their King Charles puppy still has to give his approval. how did you attach the legs? Just drill? 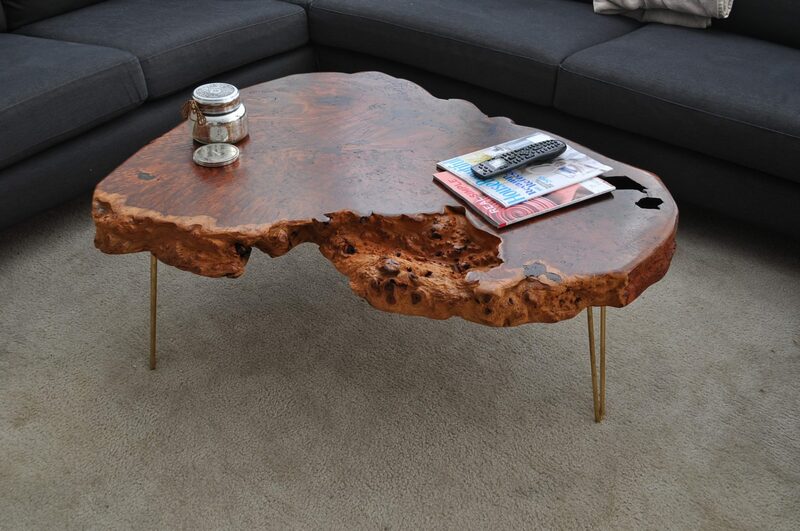 I’m totally afraid of cracking my burl.